PRODUCTION OF NEXT season’s award-winning House of Cards series has been suspended indefinitely in the wake of sexual misconduct allegations against its star Kevin Spacey, Netflix announced today. Yesterday, it was announced that the upcoming season of House of Cards would be the last one. The announcement came in the wake of allegations that Kevin Spacey sexually assaulted a 14-year-old boy at a party in the 1980s. However, according to the Hollywood Reporter, the cancellation of the show has been in the works since the summer. The last 13 episodes of the series were due to air in 2018. It was also reported earlier today that Spacey will now not receive an international Emmy award following the allegations. The Emmys confirmed the news in a statement published on its website last night. 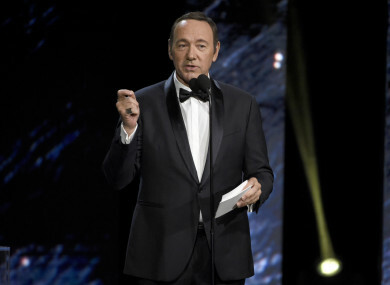 Spacey was supposed to receive the International Emmy Founders Award next month. It was announced back in August that Spacey would be recognised as “one of the great multi-dimensional talents” who “crosses cultural boundaries to touch humanity”. Email “House of Cards production suspended following Kevin Spacey sexual assault allegations”. Feedback on “House of Cards production suspended following Kevin Spacey sexual assault allegations”.